Today, Microsoft revealed its latest console upgrade: the Xbox One X. Sure, it’s powerful. Yes, that design looks sleek. Still, I think the new hardware is going to make things confusing for a lot of people. The message is confusing. I foresee people not actually knowing what console is the “better” one. And with so many buzzwords attached to the Xbox One X (terraflops? 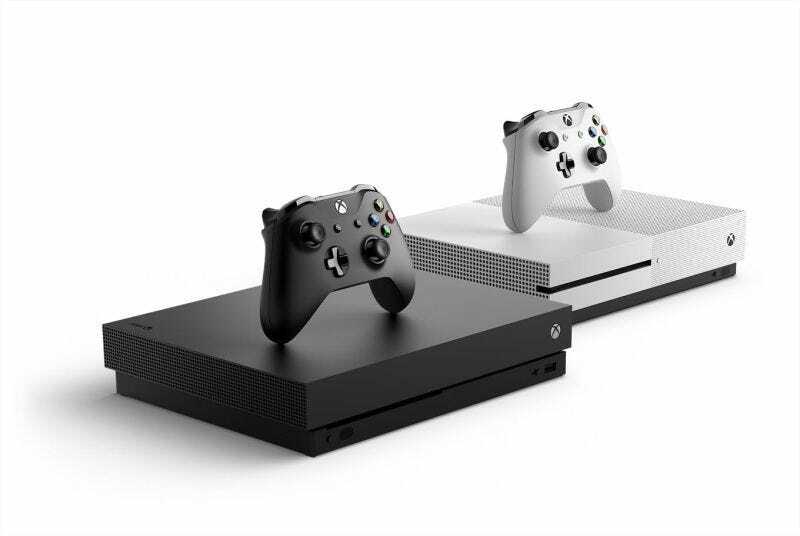 “true 4K”), if someone just casually interested in video games walks into a Gamestop or something, they’re going to see the Xbox One X and Xbox One S paired side-by-side, overtly promising the same thing (speed! power! smaller size! ), but with one major difference: price. What do you think they’ll go for? I’m guessing it’ll be the cheaper console, the Xbox One S.
My gut tells me that Microsoft just pulled a Wii U in that people are going to end up puzzled as to what console they should get.